Here at The Pole Yard, we pride ourselves on offering you a wide selection of timber products. Here you’ll find some interesting items and hardware products, which are all made with durability and quality in mind. For instance, we have a large variety of brackets to help you fasten a pole to a concrete floor, hang a trellis onto a vibracrete wall, or whatever else you might need. We can also provide you with hardware aplenty: hinges, nails, screws, paints, drill bits – whatever your woodworker’s heart wants. Have you considered an alternative for indoor ceiling décor? Try Spanish reed ceilings as it makes for a rustic and attractive choice. 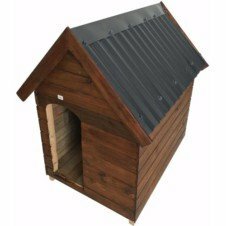 Finally, there are our wooden dog kennels. Treated, aesthetically pleasing and available in a variety of sizes, they’re the perfect way to show your pet you care. Couldn’t find what you were looking for? Browse around and see if you can find what you need. Otherwise, just give us a shout and one of our trained personnel will be more than happy to help.